It has been a decade since Alan Langford's charred remains were discovered in his burnt-out car. His wife Donna was found guilty of conspiracy to murder her husband and served ten years in prison. But just before she is released, Donna receives a nasty shock: an anonymous letter containing a photo of her husband. The man she hates with every fibre of her being - the man she paid to have murdered - seems very much alive and well. How is it possible that her husband is still alive? Where is he? Who sent the photo, and why? DI Tom Thorne becomes involved in a case where nothing and no one are what they seem. It will take him much further from his London beat than he has ever been before - and closer to a killer who will do anything to protect his new life. 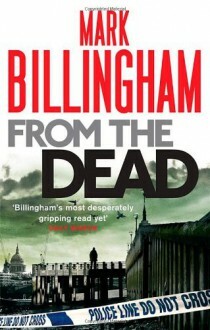 Loved and enjoyed this book, as I do with all Mark Billingham's! Maybe not my favourite but gripping and enjoyable all the same with some good twists and turns and great characters.